One end of Icknield Port Loop. This is looking into the Icknield Port Loop at Rotton Park Junction where it meets the Main Line of the Birmingham Canal Navigations at right angles. 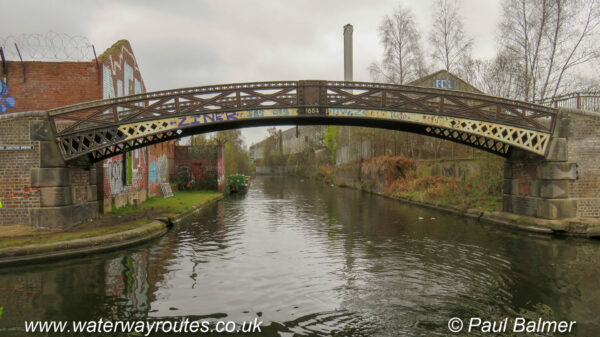 This was the original route of the canal until the route was straightened later. There is no towpath along either bank of the Icknield Port Loop so it can only be viewed from a boat.